Suddenly the silence was broken by cries from the house; it was Fernando! We soon met his ridge back dog as he hurtled towards us and then Fernando soon followed with his wife Isabel, Alvaro and his wife Sofia and another 10 or so relatives whose names I didn’t catch. Little did we know but this was to be the theme for the rest of the day! 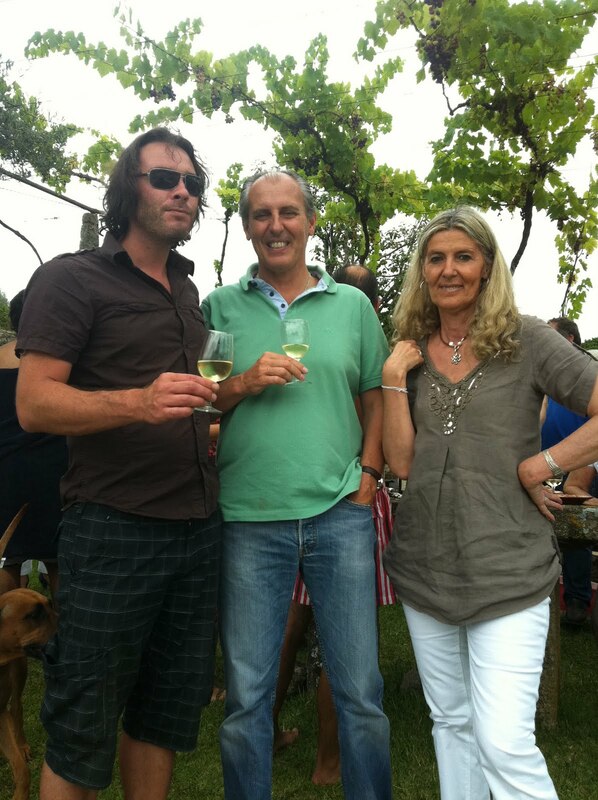 We started up in the house with of course some cold Vinho Verde until more relatives arrived and we headed down to the swimming pool for some yes, you guessed it, Vinho Verde! More relatives arrived: cousins, sisters, aunts, uncles, nephews, nieces. I am sure I met about 16 brothers, but apparently he only has four. 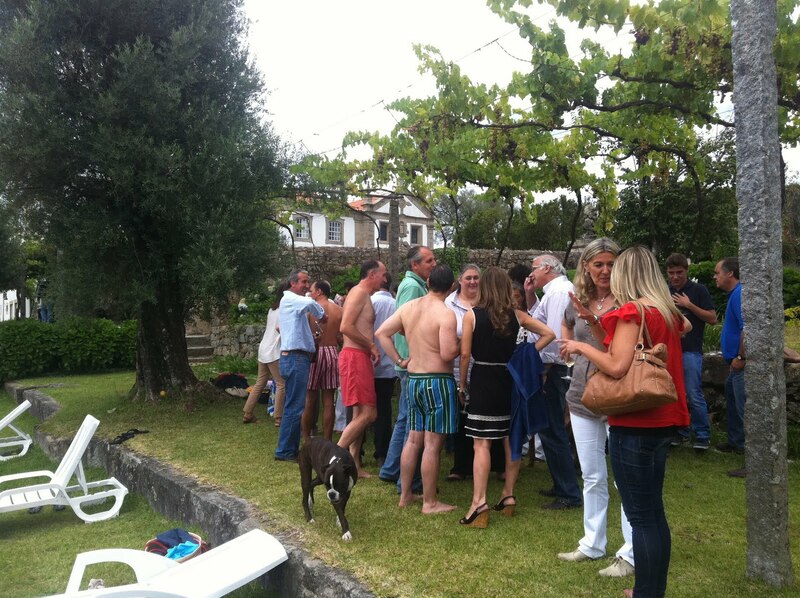 The party was in full swing and the Vinho Verde seemed to be evaporating ever so quickly. The pool was full of children and Alvaro and it was great to see the whole estate alive with the family. I shook hands with every man and kissed every woman and felt awful that I could not remember any names until Fernando said he didn’t even know who some of the people were! We were also delighted to meet Fernando’s mother and sister who luckily, as does nearly everyone, speak impeccable English. Some lovely Portuguese meats and some sort of quiche helped with the Vinho Verde consumption until Alvaro (the only one in his swimming trunks might I add) bellowed “time to eat”! Everyone ignored him and after about 45 minutes of insistence from Alvaro, people slowly started to walk up towards the house. We were accompanied by Fernando who in between jokes actually managed to tell us some history of the place! 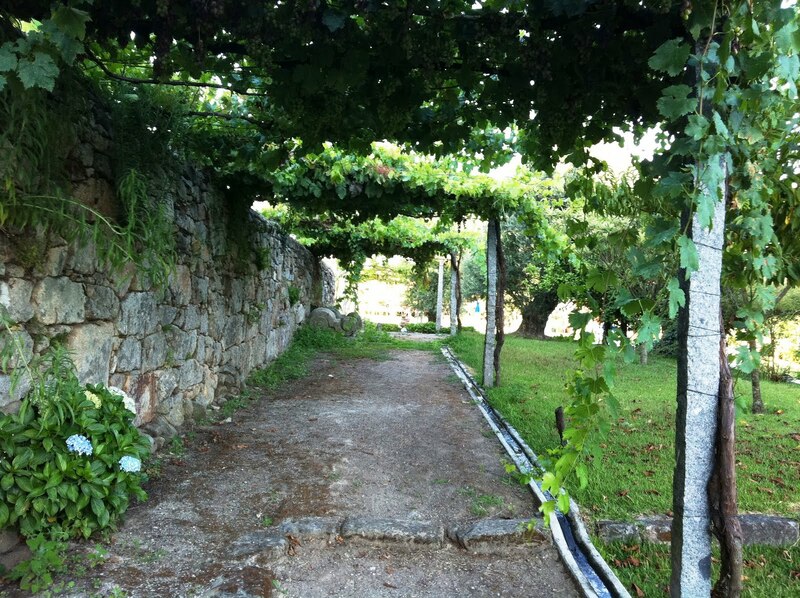 We passed the manor house and followed people literally through the old vineyard which has a tunnel-type training system called ‘pergola’ or locally known as ‘ramada’. The vines are trained high to avoid firstly frost in Spring and later in the season the leaf canopy shades the delicate white grapes which hang down underneath from the intense Summer sun. We were one of the last to arrive up at the beautifully converted old barns far beyond the house to the sound of singing and laughter. 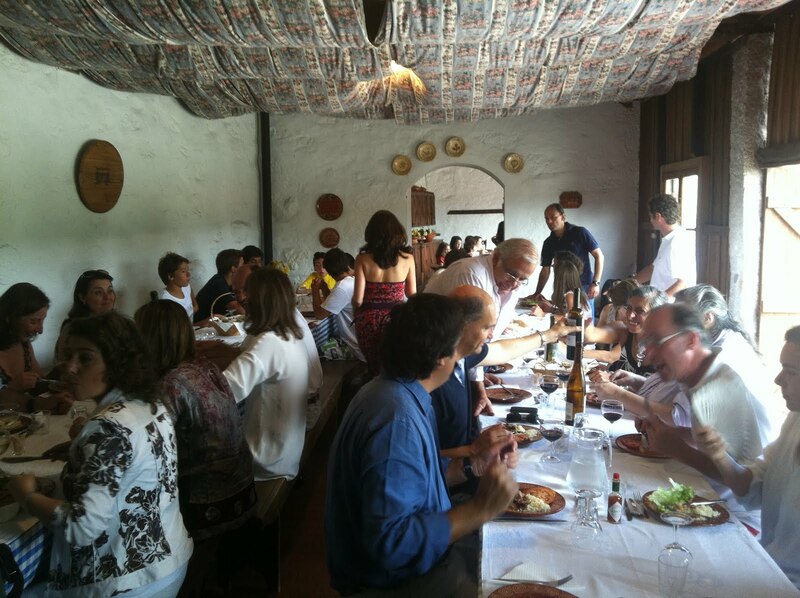 We entered the first barn packed full of people and were seated at the head of the table with Baron Fernando! The food smelt wonderful and the Soclar de Boucas Vinho Verde and Baronesa de Vilar 2008 red Douro wine were flowing freely. 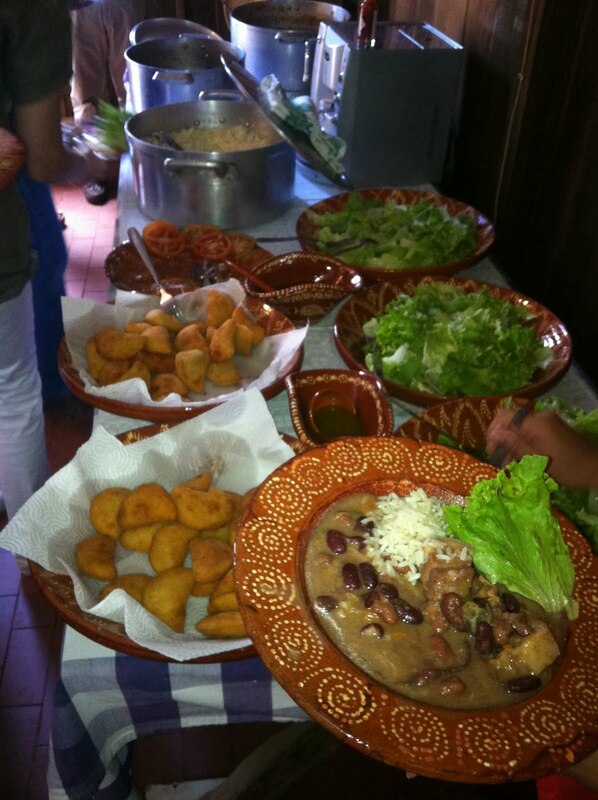 The food was a selection of traditional meat stews, small empanadas, homemade bread, and fresh salad. Once again so simple but absolutely divine! Dessert was another matter altogether and as Alvaro’s giant birthday cake came in his eyes lit up, and he yelled (in English) “a booby cake!” His wife Sofia then told everyone that when she had first met Alvaro when he was studying to become a winemaker. He was driving around Porto with a hat on that read ‘booby inspector” on it and the whole room erupted in laughter!! The party continued long into the night…. The next day we headed back towards France. We hadn’t really noticed how far we had actually come and now realised we were a good 11 hour drive from Bordeaux. 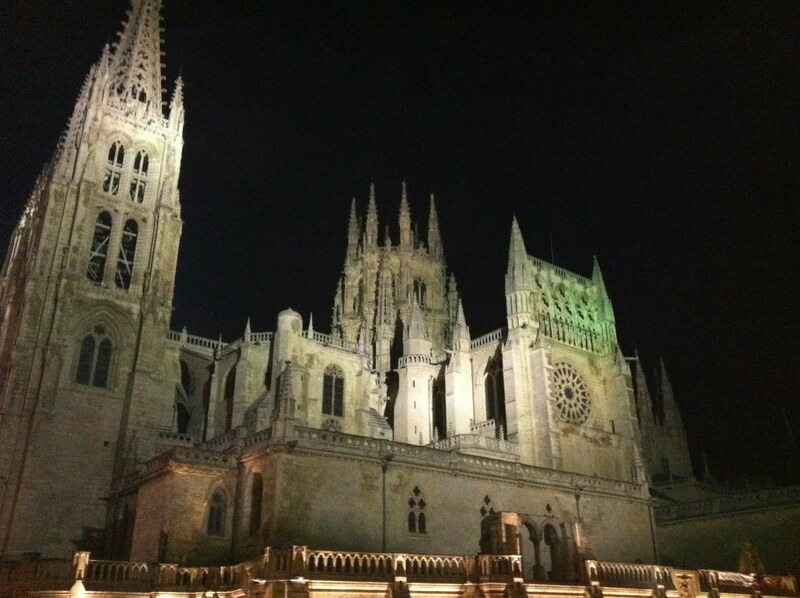 We decided to make tracks and stop off half-way in the Spanish town of Burgos. We arrived late but this is Spain. No problem whatsoever to get food … in fact I can highly recommend the Hotel AC Burgos in the centre near the cathedral and the Bar Trastienda for a bite to eat. We will come back to explore this place next time! I would just like to say an enormous thank you to Carlos and Fernando for the incredible hospitality and arranging for us to have such a true experience of Portugal!